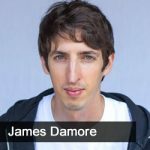 In early August, 2017, James Damore was fired from Google for writing the now famous #GoogleMemo. In it he documented Google’s internal echo chamber, some of the dangers the companies policies toward men and women present, and some suggestions for how to change moving forward. The document wasn’t received as he had hoped, however, and he was fired after the memo went viral. In this 10th episode, Jason Hartman talks to James about the dangers of a company as big as Google becoming something akin to a thought police, whether algorithms should be public, what parts of the memo were ignored by the media (but incredibly important), and why we’re seeing less and less diversity of thought in the world today.